its a simple render test of maya sprites in arnold and renderman Studio. it uses a simple noise pattern on a 2d ramp with 2d ramp displacement. 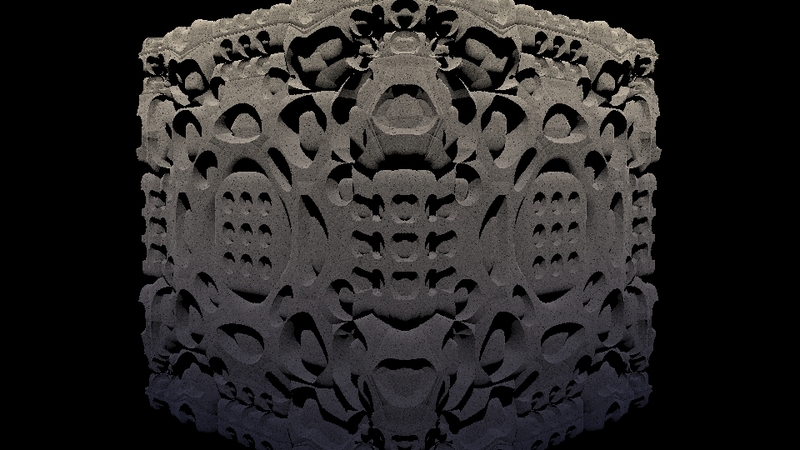 one simple noise plugged into a ramp can give a really complex shading behaviour. the extreme displacement come from a simple ramp, this give the smoke more depth. 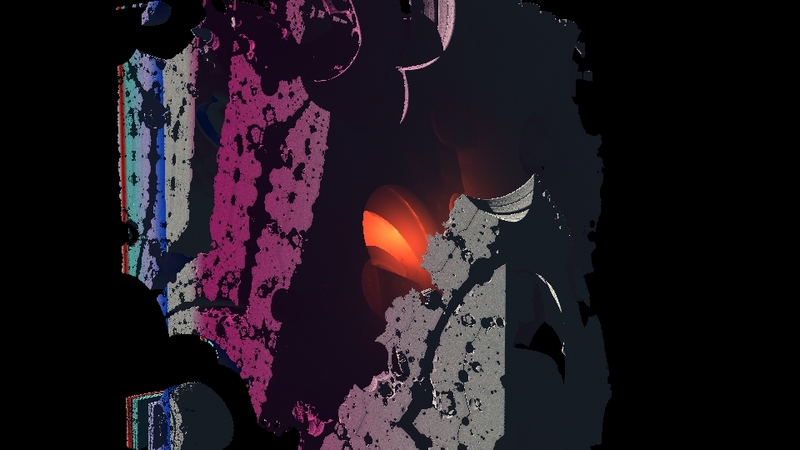 maya sprite test from Heribert Raab on Vimeo. this script add an extra attribute call Speed. its updates live, even when change keyframes. 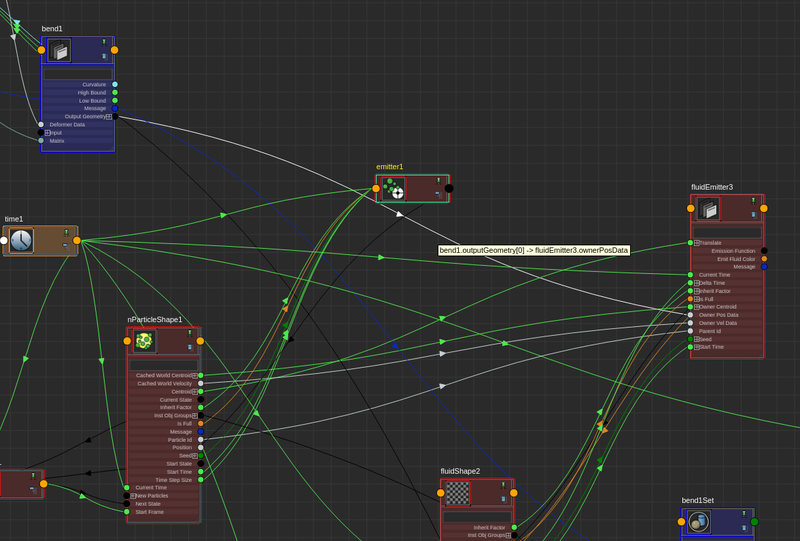 its very hand if you have to animate your force field based on speed /animation of other Objects. you can simply refer this attribude inside other expression. when you activate the script again it will turn off the HUD display. Maya Fluid alpha issue with Container Scale? there is an easy fix to this. 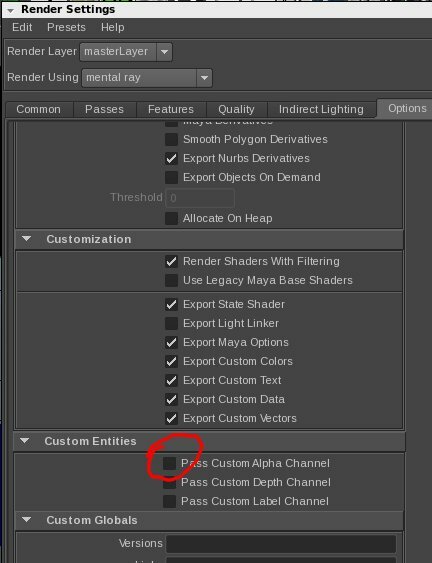 just turn off “pass custom alpha channel” in custom entries option of the rendersettings. in some cases you should only overlapping fluids container in one render layer. nonlinear deformers or scuplting on geo/partilces are great to tweak your sims. but it will not written into the cache file. the deformation gets always added on top of the cache. 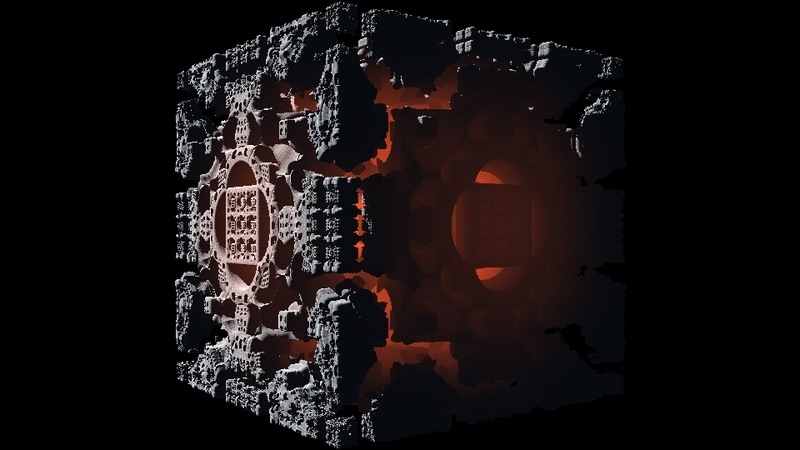 this is little bumpy, example: if wanna use the deformed nParticle to emitt into a fluids container. in this case, you can use the new node editor to plug the outGeometry of the deformer into you depending geo/nodes like the fluids emitters. easy ! here is an improved version of the playblast script. Jean Denis pointed out the playblasting of more cameras is sequential and parallel. (thanks for that!) which would extreme slow in heavy scene with complex characters or large cache file. the new version of the script capture all cameras on each frame at the same time. 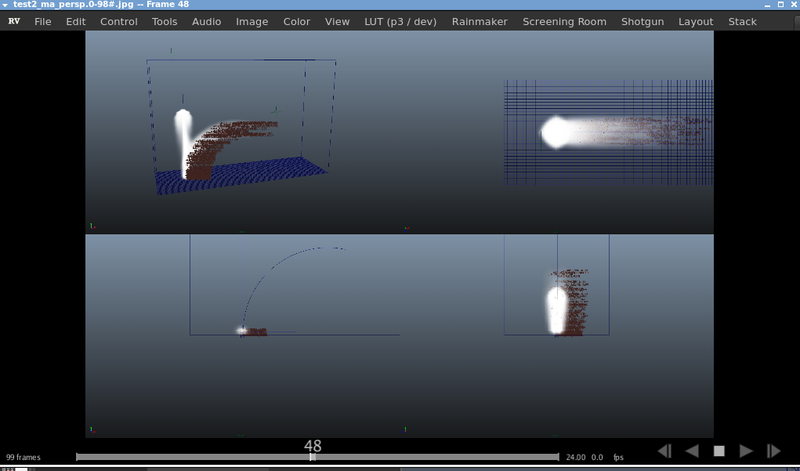 this way, maya have evaluate once on each frame and not do extra evaluation for each camera. this way you can playblast simulations with different camera without caching. i am using the active viewport for each camera to keep resolution constant. 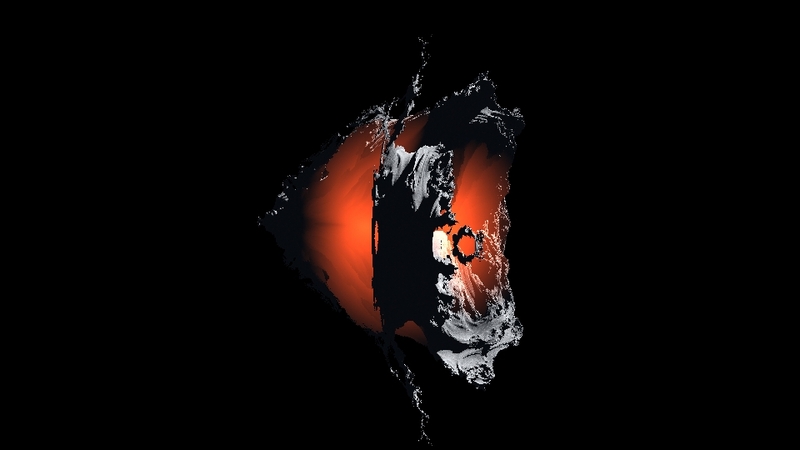 (and it avoid maya viewport issues).